Zeros N’ Heroes 087 [EXPLICIT CONTENT] This week we cover the COOL: The new “Archie” comic, Brian K. Vaughn’s new title “We Stand on Guard,” and Marvel Master Works “Dr Strange,” and James Robinson’s meta-comedic comic “Air Boy,” along with the STOOL: DC’s new “Dr Fate,” the USA program “Mr Robot,” and the passing of a real-life Batman. ARCHIE #1 … reimagines the classic character and his friends Jughead, Betty & Veronica, Reggie and more, infusing them with a modern day sensibility that still harkens back to the roots of the long-running comedy series. 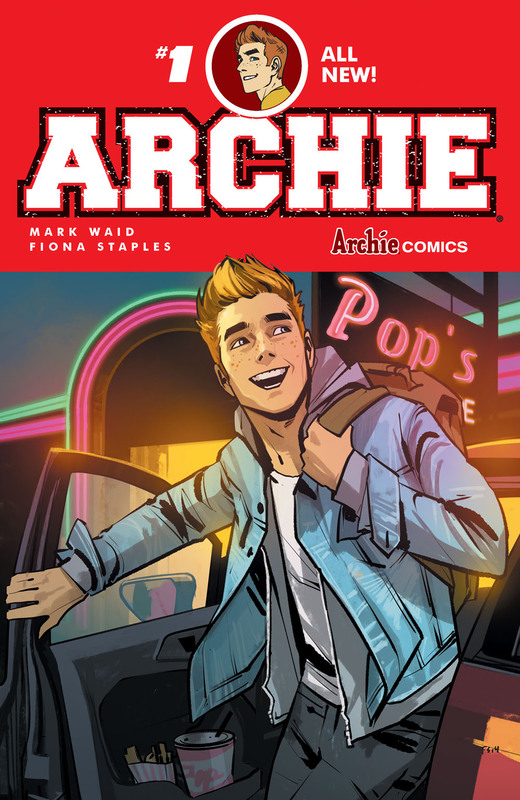 It’s a story for all ages that reiterates the vibrancy, relevance and quality that fans have come to expect from Archie Comics as the company heads into its 75th year. Available at your local comic shop. Worlds and minds explode in a brand-new series! When acclaimed comics author JAMES ROBINSON (Starman, Fantastic Four) is hired to write a reboot of the 1940s action hero Airboy, he’s reluctant to do yet another Golden Age reboot. Just what the hell has happened to his career–?! His marriage?! His life?! Hey, it’s nothing that a drink can’t fix. It’s after one such night of debauchery with artist GREG HINKLE that the project really comes into its own. Quite literally. Because Airboy himself appears to set the two depraved comic book creators on the straight and narrow. But is the task too much for our hero? Despite it being treated as if a red-headed step-child, the creative energy poured into Dr. Strange takes a back seat to no one. It could be argued that this is Steve Ditko’s finest work of his career, with his rendering of the universe of magic and mysticism that Strange inhabits being so fantastic and outlandish that it set the tone for years to come. After all, a comic about a magician could have been as formulaic as popping rabbits out of hats and waving magic wands at fleeing bank robbers. But no, Steve and Stan stretched the boundaries of reality to include whole new dimensions and civilizations. Quite often, Dr. Strange is opening portals from the rigid confines of Earth to faraway, or even very close, strange places, where the rules of reality as we know it do not apply. Certainly, the rules of comics art status quo did not apply, as Steve Ditko abandoned expected forms of layout, sending his characters off into the far distance of psychedelic landscaps that went as far as the eye could see. Real-life Batman is lost too soon.